Two years ago, a study published in the Journal of the American Dental Associationfound that fluoride intake during a child's first few years of life is significantly associated with fluorosis, and warned against using fluoridated water in infant formula. The word 'Champion' may elicit reverie-like thoughts of a bygone era, but Champions—while rare—can still be found today. A true Champion can be defined as a person in a position of some authority who can reasonably make a probing request, and, most importantly, has the authority to declare that a distorted response—one that does not answer questions directly, or a non-response,simply isn't good enough. Frank Mora, previous Chairman of a joimt water board in the State of New York, is one example of such a Champion. While neither 'easy' nor 'fast,' Mora's dedication to the ethics of stewardship eventually led to the discontinuation of the addition of fluoride to their water supply in October 2009. 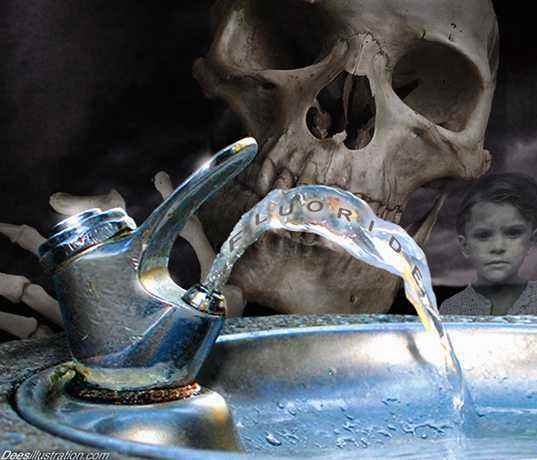 The water board, who originally supported the public policy of fluoridation based on endorsements, rejected the use of the hydrofluosilicic acid fluoridation chemical without taking any stance on whether or not it might do harm... Rather the rejection was based on the Board's inability to confirm the compliance of the product with already established laws and regulations for safe drinking water. First of all, swallowing fluoride provides little or no benefit to your teeth. It works topically, and not particularly effectively at that. According to the findings of a groundbreaking 2010 study published in the journal Langmuir, the benefits of even topical application of fluoride are highly questionable. The study discovered that the fluorapatite layer formed on your teeth when you apply fluoride is a mere six nanometers thick. To put that into perspective, you need 10,000 of these layers to get the width of a strand of your hair! Scientists now question whether this ultra-thin layer can actually protect your enamel and provide any discernible benefit, considering the fact that simple chewing will quickly eliminate it.